Alaska's wilderness is world-renowned, with diverse flora and fauna, rugged topography and the potential to glimpse animals rarely seen anywhere else. And though the state is geographically massive, it doesn't mean all the good stuff is in a remote place — even Anchorage, the largest city in the 49th state, has quick and convenient access to incredible nature. Here are just a few hikes, with varying degrees of length and difficulty, that epitomize the beauty and majesty of Alaska, all within a 30-minute drive of downtown Anchorage. 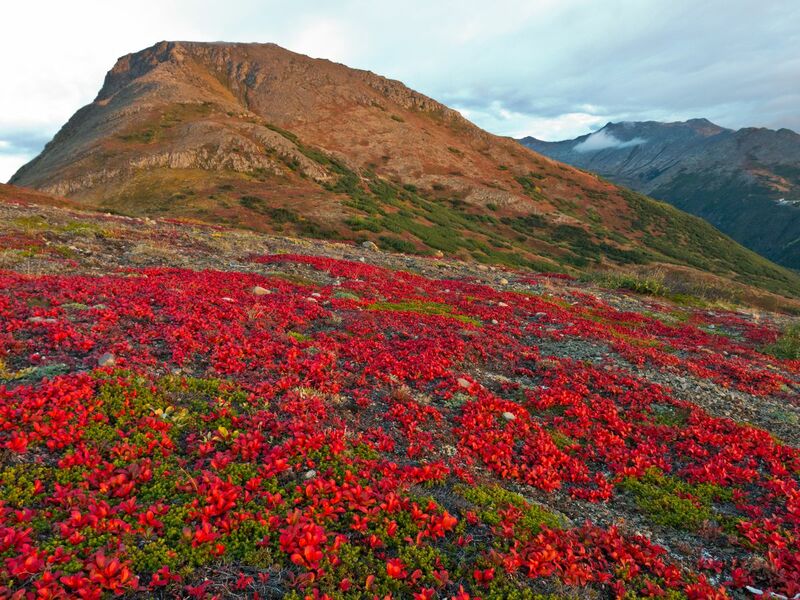 Flattop Mountain: Easily the most climbed mountain in Alaska, Flattop is a perennial favorite among locals and visitors alike thanks to its well-maintained trail and views encompassing all of Anchorage (and stretching as far as Denali on a clear day). While the entire mountain stands at 3,510 feet, you'll only ascend the final 1,280 over the course of a mile and a half. The mountain's popularity has its pros and cons. On one hand, you don't need a car to get there — simply take the Flattop Mountain Shuttle ($23 round-trip; runs April 15 to Oct. 14; 907-279-3334). It departs from downtown and arrives at the Glen Alps Trailhead within 30 minutes. The downside is that Flattop's accessibility means it's easily the most crowded trail in Anchorage, so you may be jockeying for space with other visitors. The trail becomes steep near the summit — be prepared for some rock scrambling. Tony Knowles Coastal Trail: Starting in downtown Anchorage, this paved 11-mile trail hugs the coast all the way to its terminus in Kincaid Park. It's a fairly flat path (save for a daunting final half mile) that links up with several sightseeing spots, including Westchester Lagoon, Earthquake Park and Point Woronzof. Aside from the occasional urban moose, there isn't much possibility for animal sightings until you reach Kincaid Park (unless you count the metal birds blasting off at the Ted Stevens Anchorage International Airport), but the land and cityscapes are lovely. Rabbit Lake: Eight and a half miles out and back, it's a gorgeous hike the whole way, but the big payoff comes right at the end, with views of Rabbit Lake in the shadows of the mighty Suicide Peaks. An easy hike with negligible elevation gain, the first half cuts through brush as it runs parallel to the Flattop ridgeline before blending into an open valley for the final couple of miles. Eagle and Symphony Lakes: Just north of Anchorage near Eagle River, this 12-mile round-trip hike is outrageously photogenic from start to finish. Even though it's a longer hike, the bulk of the trail is level, making it easy to breeze through. It's not until the end when you reach a boulder field where you really need to watch your step. But the finale, including the two lakes — one glacier-fed and mint green, the other a deep aquamarine — separated by a single moraine, and the towering peaks on all sides make the effort worth it. 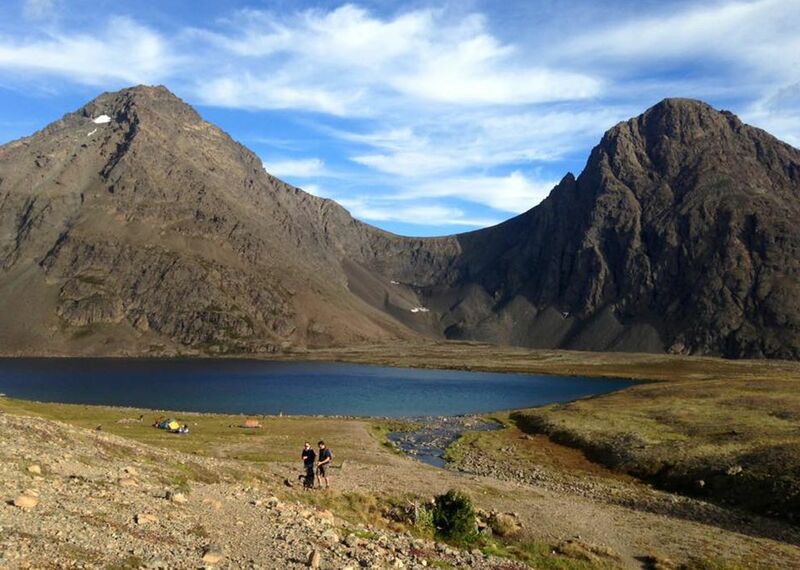 Williwaw Lakes: Tucked in Chugach State Park, this string of nine alpine lakes allows for the most customizable itinerary. You could do a big loop, starting at the Prospect Heights Trailhead parking lot and coming back via the Campbell Creek Canyon Trail and Near Point. You could take it easy, going down Powerline Pass to Middle Fork to the Williwaw Lakes Trail, following the creek through the valley as long as you care to before turning around. Or, if you start at the Glen Alps Trailhead, you could go up and over via the "football field" (also called the "ballfield") for a workout that'll make your legs burn but offers the most awe-inspiring aerial views of the valley. Whichever way you choose, you'll almost certainly see moose, Dall sheep and various waterfowl. Crow Pass: If you travel light, move quickly and start early, you can cover the 21-mile trail in a single day. Most people choose to break it up over two days, though. Starting in Girdwood, the trail passes glaciers, waterfalls, mine ruins and a Forest Service cabin, then winds through a valley to the Eagle River (a river crossing that can be dangerous — not recommended for a solo trek) before terminating at the Eagle River Nature Center. Your odds of seeing wild animals — ranging from arctic ground squirrels, marmots and Dall sheep to bears and moose — are good, considering the trail isn't as trafficked as others in the Chugach. Make sure to arrange for transport back to town from the end of the trail in Eagle River, though — the hike back to Girdwood is uphill.